We are excited to introduce the Extra Module Mate. 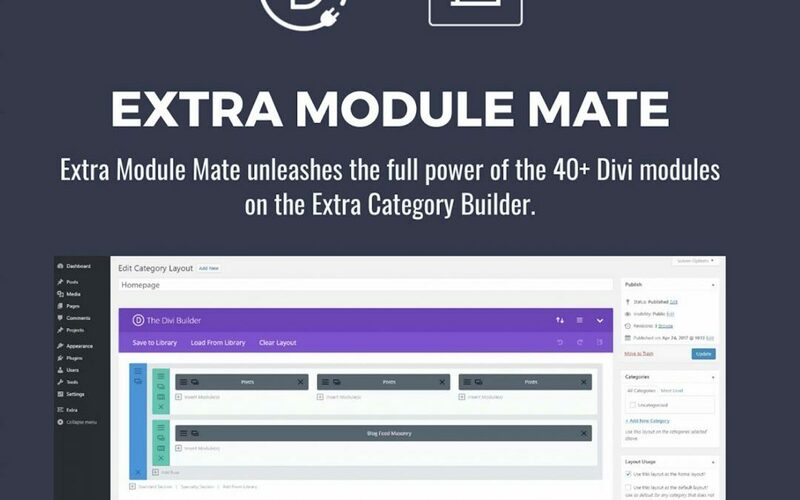 Extra Module Mate is an ultra lightweight yet powerful plugin that injects the power of the Divi Builder into the Extra Category Builder by importing all modules that otherwise are not available for Layouts . EMM makes it super simple to style your Extra website – just like you would the Divi Theme. You might be thinking, but wait, isn’t Extra the same as Divi? When you are working in the Extra category builder, you get 10 Modules to choose from. They include, posts, ads, blog feed, post carousel, tabbed posts and text. As you are working in the Category Builder, you might be thinking…..where are all the goodies from the Divi Builder. You guessed right! They are not natively in the Extra Category Builder. With the Extra Module Mate, you can unleash the power of Divi, inside the Extra Category Builder! Once you install your plugin, you will now have access to all the Divi Modules. You can insert blurbs, maps, portfolios RIGHT INTO THE EXTRA CATEGORY BUILDER! 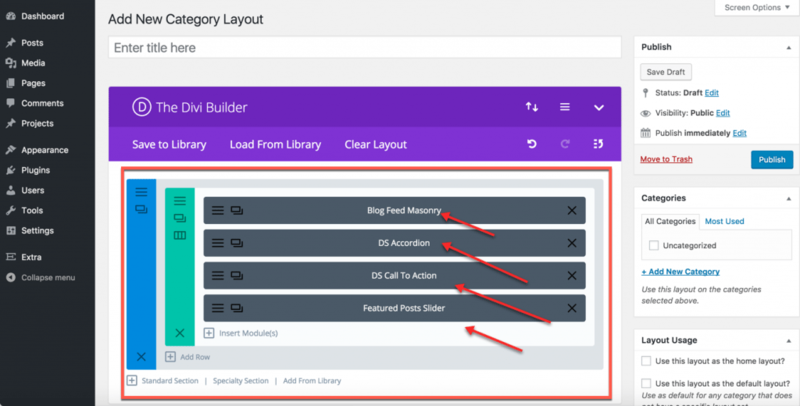 Building your category layouts is as easy as a few clicks! Go to your category builder and click add new. Use your NEW Divi Space modules to build your category! It really is that simple! The power of Divi right inside of Extra Category Builder! The Extra Module Mate is now available for purchase! Do you have any questions about Extra Module Mate? We’d love to answer them! Great News! Great solution! Thank you! 2) if you desactivate the plugin, then you loose everything that has been done on homepage & categories thanks to the plugin ! Hello, we apologize for the trouble. The newest version of the plugin addresses several of these issues. Can you please open a support ticket by clicking on the “Buoy” icon in the lower right-hand corner of the site?